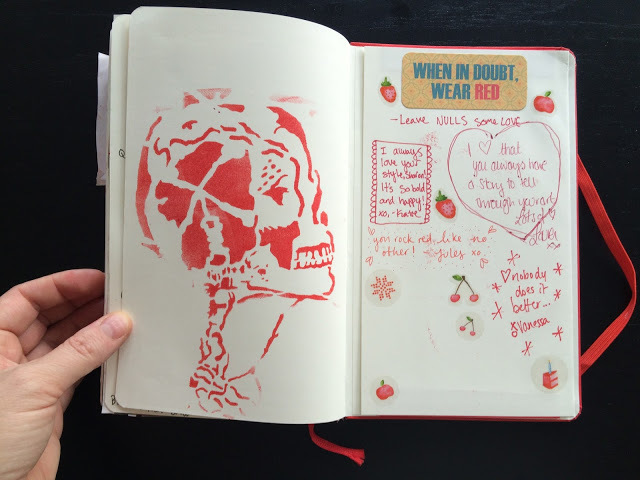 I LOVED working in Sharon’s Red Journal. 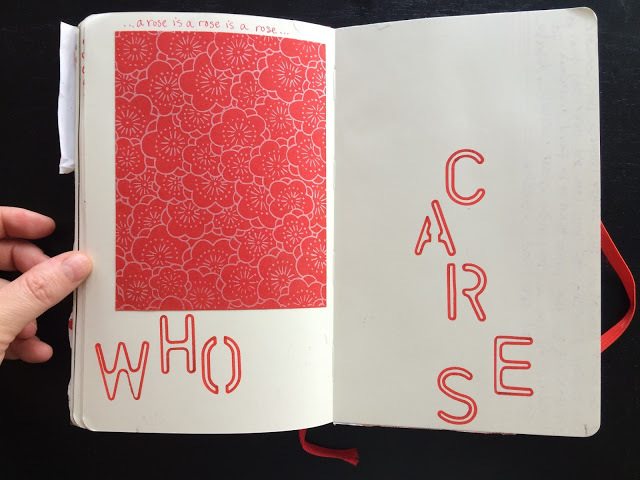 I love that color and everyone in the world associates it to Nullsie so it’s a lovely match. 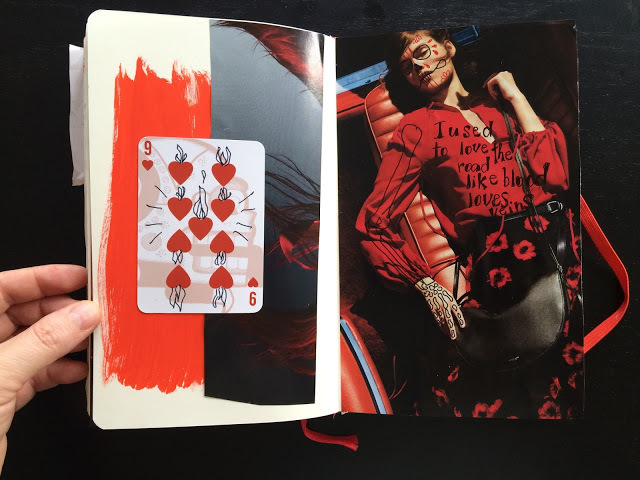 Here is a glimpse of what I made…the first page uses STICKERS! Here I built up on some triangles and pieces of washi. This is one of my favorite calendar pages (by Ketto). I could only part with this image if I knew the person getting it would love it ! 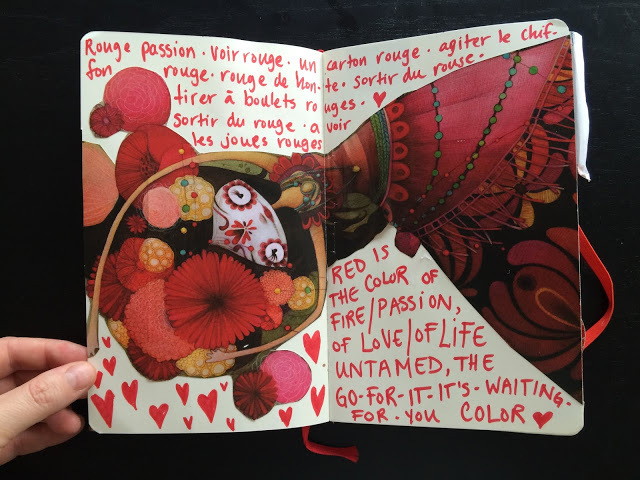 I added some French expressions using the color red and also wrote about what that color means to me. Some doodling. I used to do this while in class. 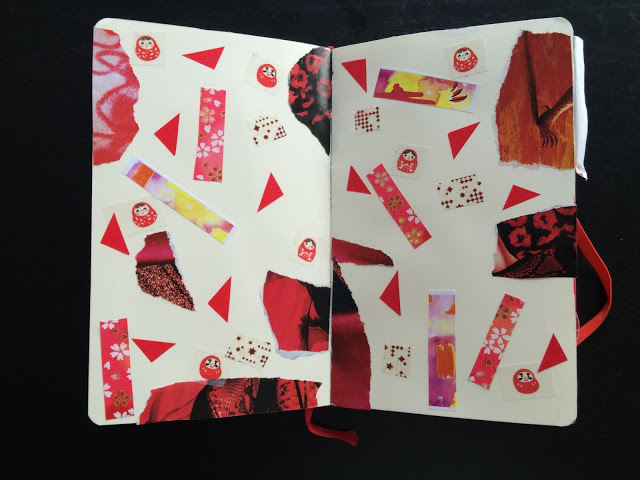 I added this handmade Japanese paper to this page. 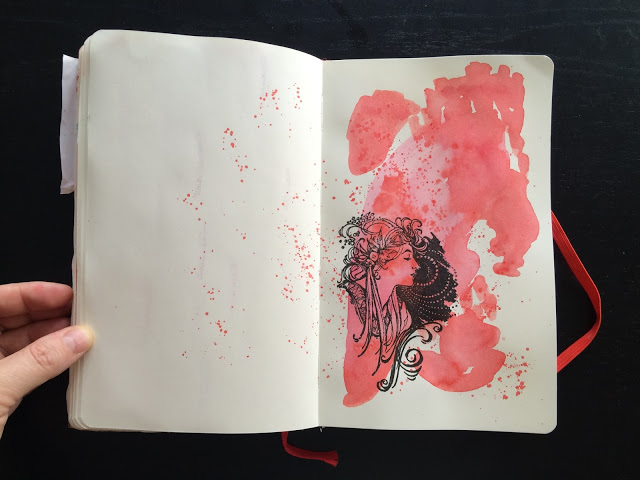 And used my Art Nouveau woman stamp. 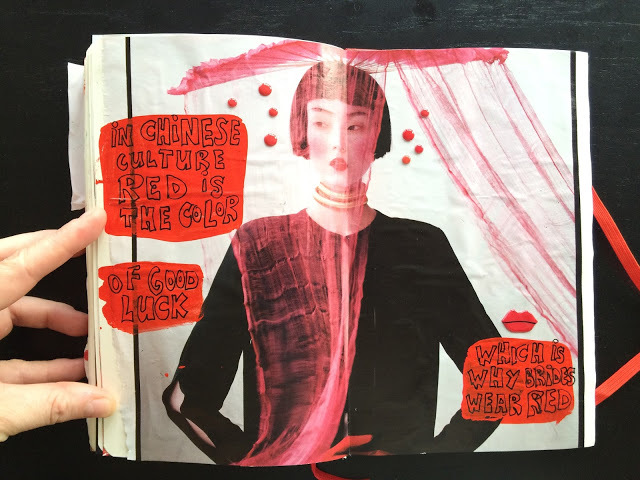 This is a song lyric from a group that I loved as a teenager – a French Depeche Mode type group – called Indochine. I recommend you listen to it while reading this post! There is a flap that you can open to see the rest of the image. Just because I love flaps! Of course I had to add a calavera woman. 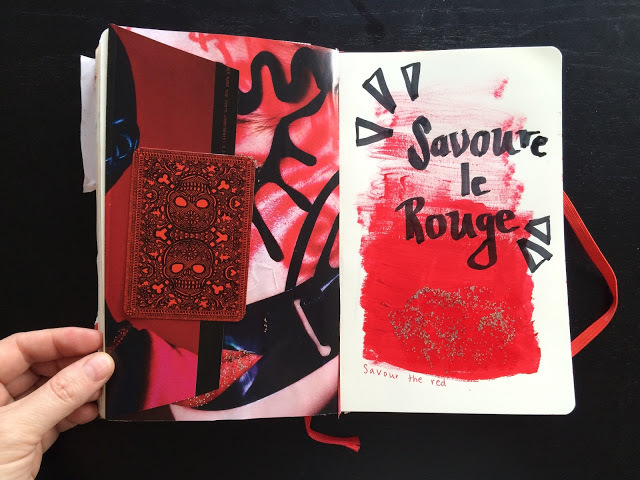 Red is a very important color in the Chinese culture so I added this image that I had been saving all this time to put in this journal. I inventoried all the various reds I have on hand. 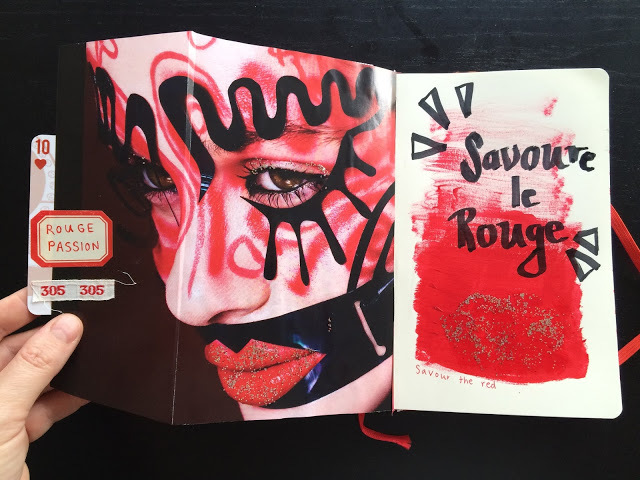 And as a final conclusion, I sued my red ink through this stencil by Orly Avineri. 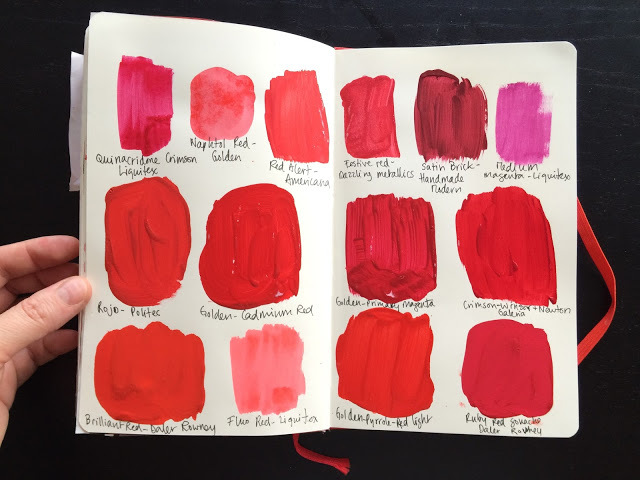 I especially love your swatches of red! 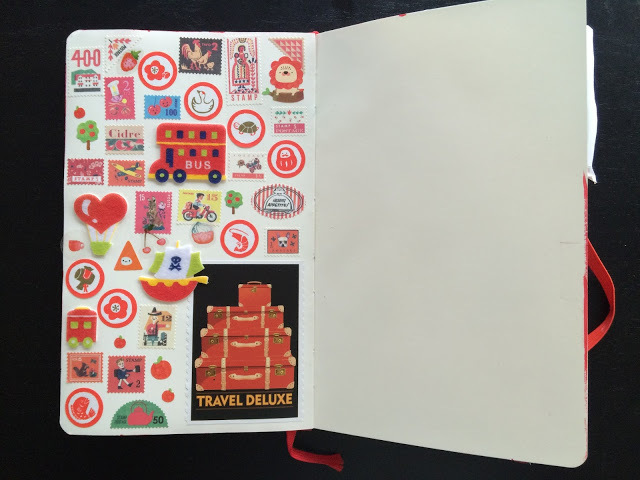 La Calavera, le rouge en Chine, les collages de stickers façon Nullsie, tout trouve un écho chez moi ! J'adore !! YEAH! moi aussi, tu connaissais la chanson? I'm all over that Chinese page! 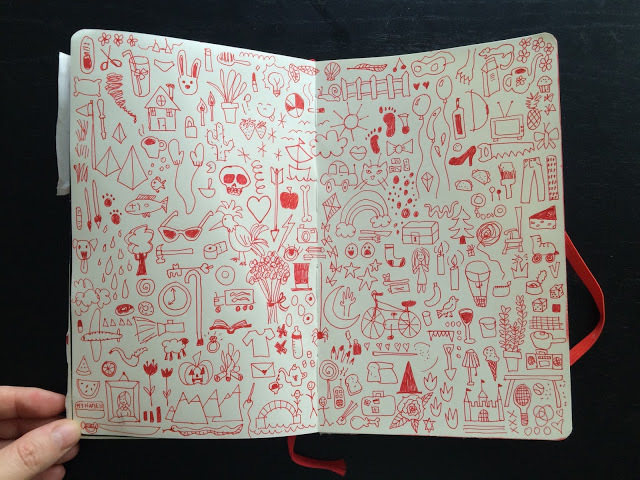 I love love love your doodle page!